Best Stainless & Alloys L.P. is a premier stocking service center providing a wide variety of industries with specialty stainless & nickel alloy bars and shapes -specializing in precision shafting in those hard to find grades and/or lengths. For projects requiring longer bars, we are the industry leader in long length bar with inventory ranging from 20’-28’ R/L. 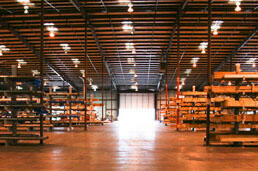 Operations began in 2003 with just 3 employees working out of a 17,000 square foot facility in Pasadena, Texas. Twelve years later in the year 2015, we have grown to 26 employees with over 300 years of combined experience in the industry. Currently, we promote the sale of our products & services worldwide from our new 70,000 square foot facility located in Houston, Texas. Our mission from the beginning was to bring “service” back into the “service” center. Our sales team consists of true salespeople, not just order takers, and we strive to establish a true personal relationship with each of our customers. All of our employees are highly motivated and committed to providing our customers with the best possible service and products on-time. We listen and react to our customer’s needs accordingly and do whatever it takes to, first earn your trust and ultimately, earn your business. This business philosophy and commitment towards service has always been a key component in the growth of Best Stainless & Alloys throughout the years and, as we continue to grow, we will not abandon what brought us here- true service. 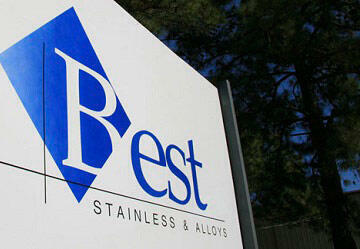 Quality also remains a top priority at Best Stainless & Alloys. As we continue to remain true with our service goals, we also strive to maintain compliance with the highest degree of quality & business standards set forth by ISO 9001:2015 Certification of Conformance. All of our employees understand that on-time delivery and fulfillment of a product with zero defects is necessary to guarantee a successful business relationship with our customers. Great service must include great product quality. Thank you for visiting our website and we hope to have an opportunity to welcome you as a satisfied customer soon! From ALL of Us at Best Stainless & Alloys. From fantastic customer service to high quality alloys, it takes an exceptional team of administrative, sales and warehouse staff. Meet the key personnel needed to keep operations running smoothly at Best Stainless & Alloys L.P.
Best Stainless & Alloys L.P. maintains a constant four million pound inventory in a wide assortment of diameters and lengths. To maintain access to such a large inventory, Best Stainless operates out of a 70,000 square foot, seven acre facility in Houston, Texas.